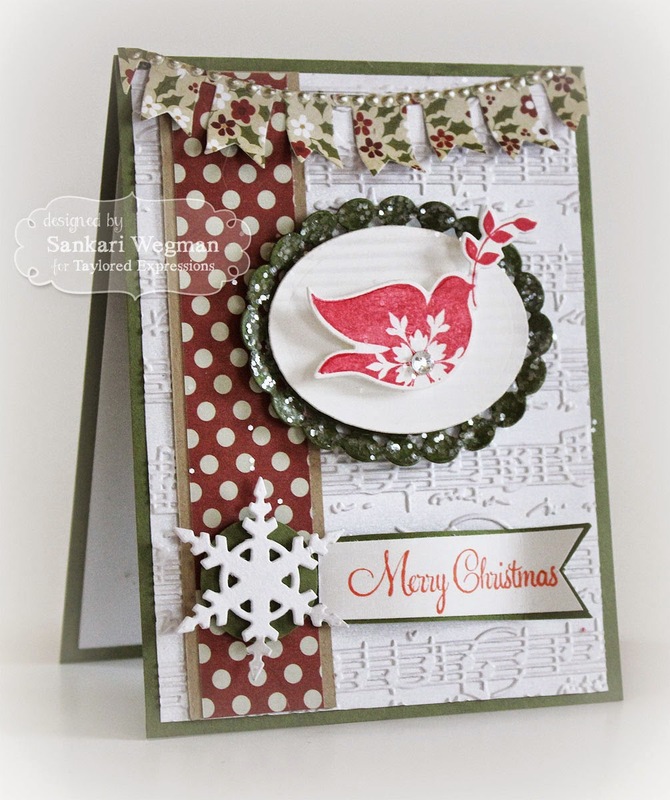 Yesterday I thought that I would start my own holiday challenge for myself - make a card every day for 31 days and post it all with the theme of holiday cheer! Accessories: Sheet Music Embossing Folder, Oval nesties, Oval scalloped nesties, Party Banner Border, liquid pearls and chunky glitter. 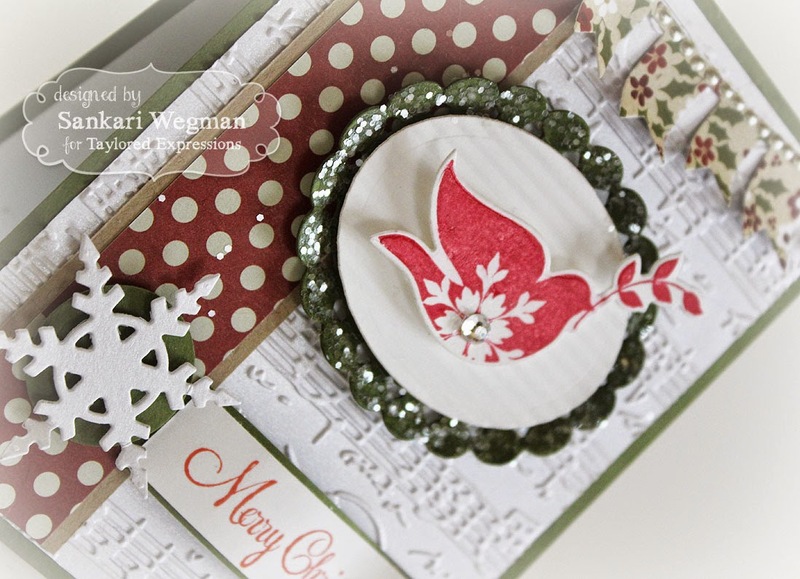 I love the Sheet Music Embossing folder - it is so crisp and adds such a fun festive flair! I have really been enjoying this challenge so far - can't wait to make another one for tomorrow! Thank you so much for stopping by and please hop by tomorrow if you have a chance! Love love love this card. What papers did you use to create this. They're gorgeous! Love love love this card. So festive. What papers did you use for this? They're gorgeous. Oh Dear. I see it listed in the ingredients. Lol. Sorry. My bad.